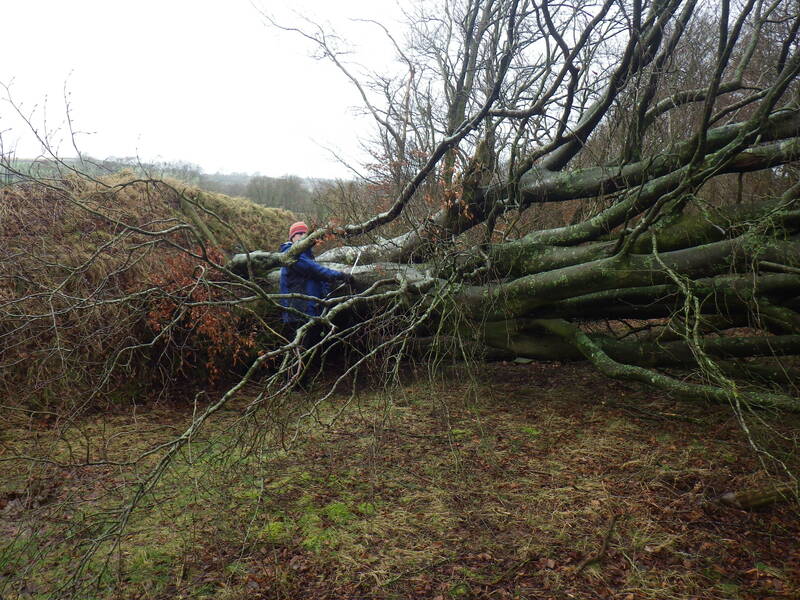 You can see from the second picture, that the ground had come away with the tree… and further investigation revealed that it wasn’t just one tree, but a 35 metre stretch of beech trees growing on a bank along our boundary. All these trees have multiple stems, and we couldn’t get in amongst them to count how many are down, but there are probably 10 in total. 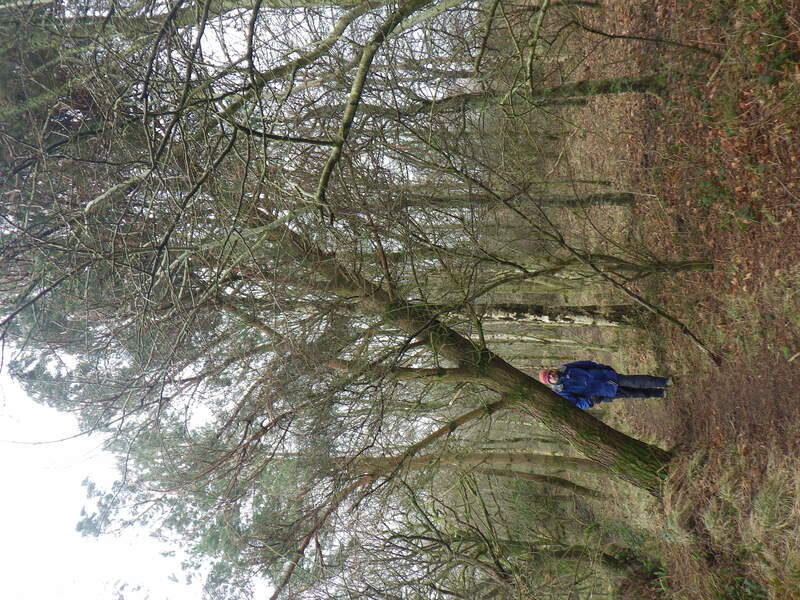 However, they are all beech trees and the visitors said that the tree they saw was an oak, so our search continued. 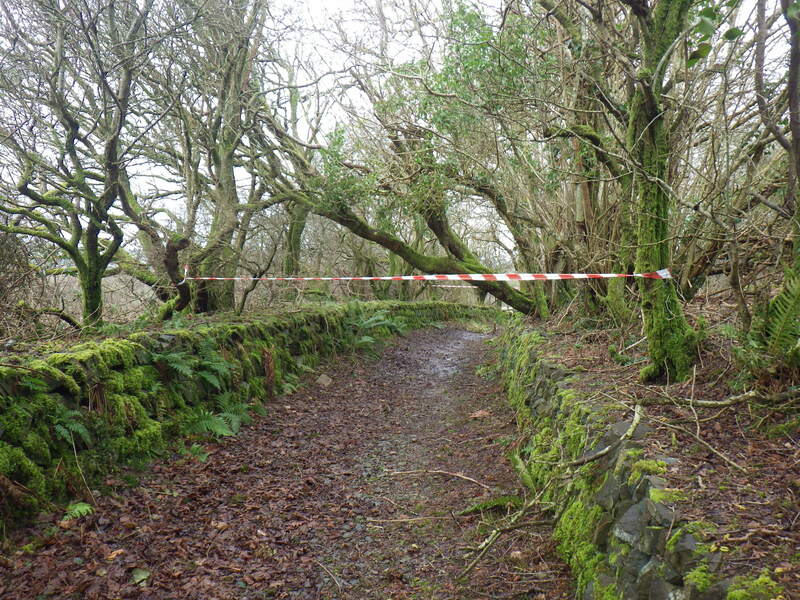 We cordoned off all the dangerous parts, but now there’s lots to be done to make the site safe for visitors and convert the wood into both fuel and wildlife habitat. 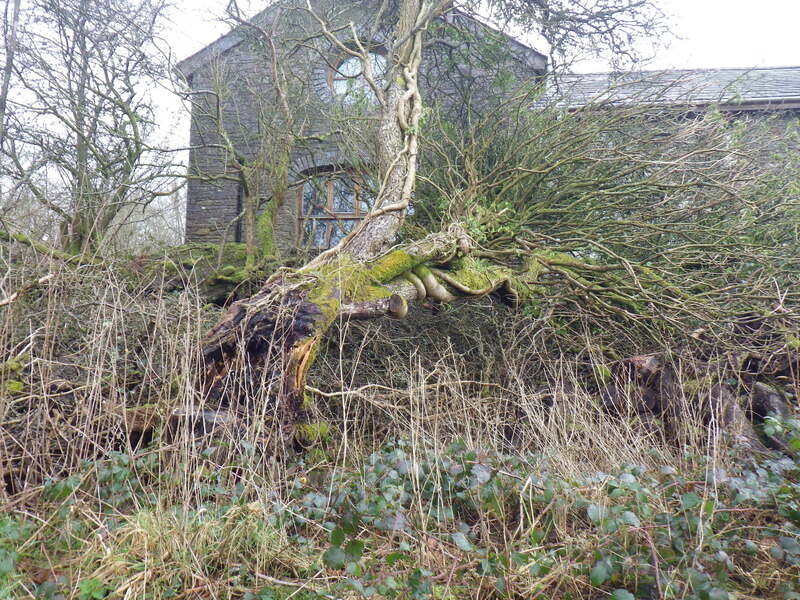 It does bring home the power of nature… really the pictures don’t do justice to the size and number of trees that are down. You can read more about it all in my post on the Denmark Farm blog. Good work Mr and Mrs S-O-H, on oh so many levels! I’m intrigued by the way the beech trees came down. 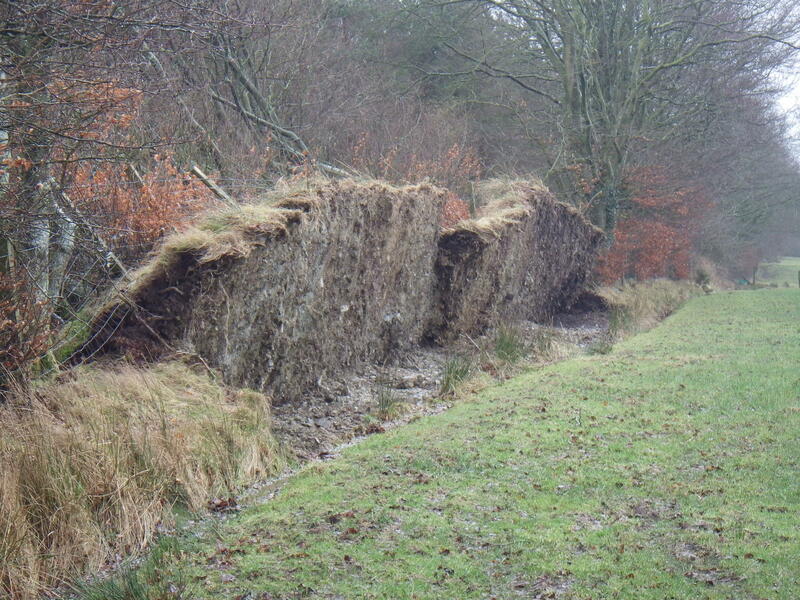 it looks as if something has kept their roots from penetrating into the subsoil, instead forming a dense, shallow mat. Thoughts? 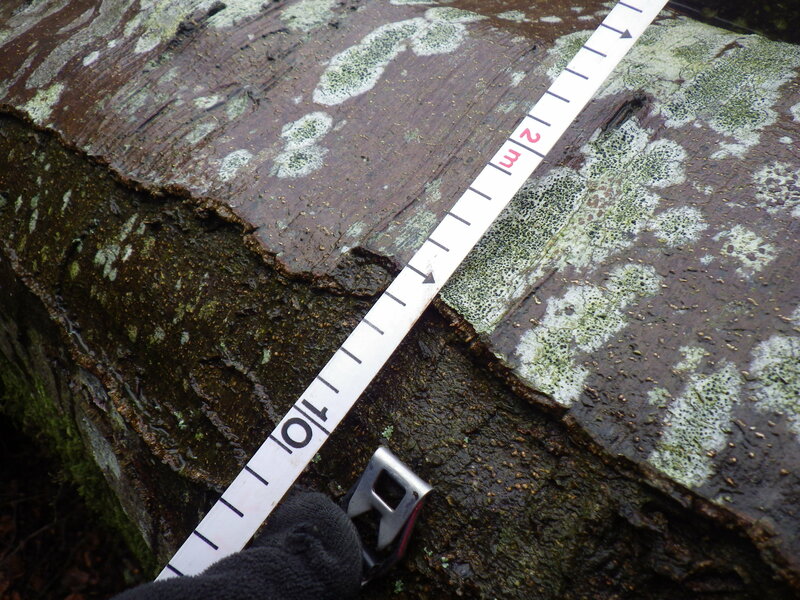 It’s really wet, and I suspect that reduces rooting depth, but according to the Forestry Commission beech only has rooting depth less than 2m, compared to a depth of 4m for oak. They look as if they’ve been sliced off with an electric carving knife. I wonder if the fact that they were initially laid as hedging has something to do with the extreme shallowness of the root system. 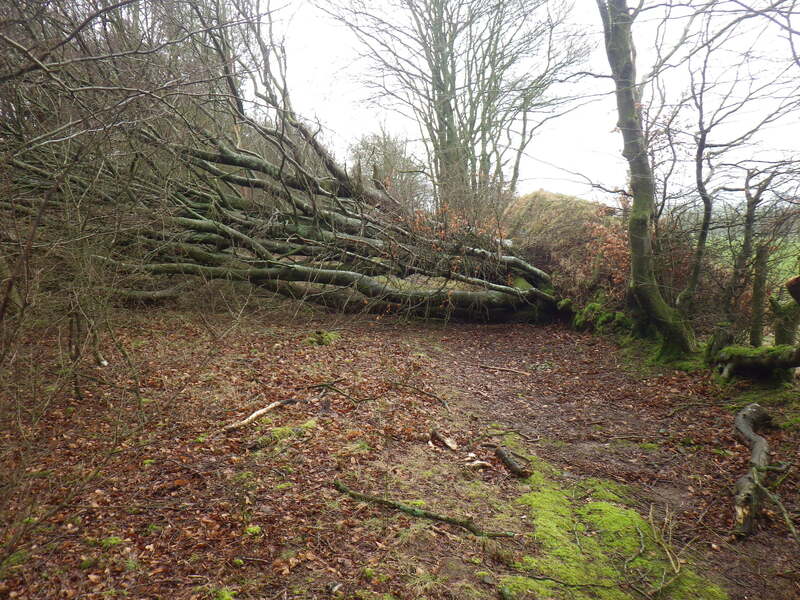 Beeches normally establish a large and wide-spreading buttress root system, perhaps because they don’t go down deep. BTW, very fetching hat Mr SoH is sporting there, some of your handwork? Ah yes, that’s one of mine… ‘Northern Lights’ yarn, bought when we were in Norway. It must have been a very distressing walk for you and Mr SOH. 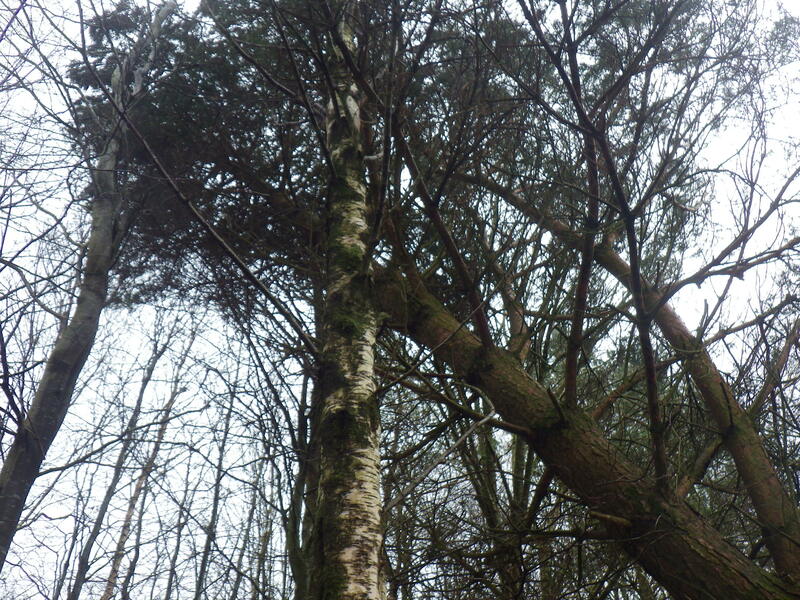 It is always so sad to see those magnificent trees damaged. It will be a big task for the committee to clean up. I was truly shocked… so many trees! And the bank lifted up in tact was astonishing. Still, it’s a natural process and will give some of the new trees chance to grow. You are so right, and I love the way you are able to see those positives at a time that was difficult for you. Change is confronting, but necessary. Such a shame that they can’t be lifted and re-established. I do realise it’s virtually impossible and also prohibitively expensive and I also applaud the great uses the wood will be put to. It just makes me so sad to see trees die.You must have been upset. I kept looking at them and thinking that they looked like children’s toys, pushed over at the end of a game… we just need a giant to stand them back up! Actually I’m seriously wondering whether we might be able to cut them to stumps and then get a skilled digger driver to pull the bank back in place in the hope that we will get the stumps to resprout and form a coppice. Amazing to see the whole bank lifted up like that. 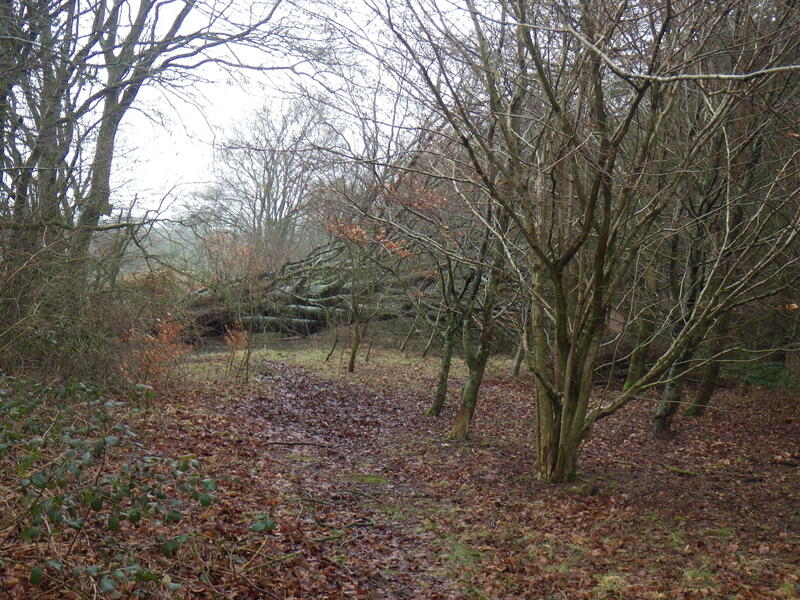 I always hate to see trees that have come down, you were lucky that no real damage was done to anything else. Gum trees can be shallow rooted (and tall and heavy) so when they fall they always make a huge messy hole like that too, not quite so wide though! After weeks of extreme heat we have had a big downpour overnight and now quite a breezy day. Previous experience has shown that to be good conditions for a few tired trees to decide they need a lie down over the next few days. Hopefully none in my garden! At least you have a good amount of potential firewood now, maybe even some nice wood for some creative soul to make furniture from the bigger trunks too. We do run wood carving courses sometimes, so I think some of the wood will find a use on those! That is a one hell of a wind!!! 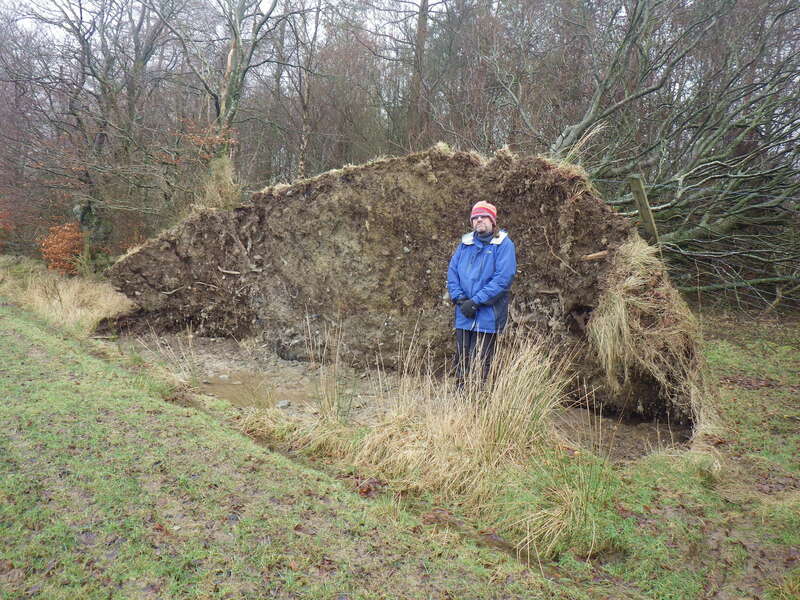 We are used to strong winds off the Atlantic, but that was something else! Wow! That’s one heck of a wind. It’s a shame to see so many trees downed, but hopefully it’ll give others room to grow and you’ll find a clever way to re-purpose the fallen.